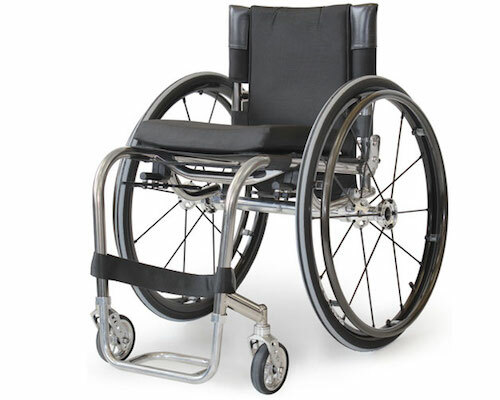 FIXED FRAME LIGHTWEIGHT ADJUSTABLE BALANCE EVERYDAY WHEELCHAIR. The Melrose Piranha has a very compact ultra lightweight frame. The design offers the added advantage of having no underframe to impede lifting in and out of a vehicle. It is completely custom built to the individual’s specifications for size, rake, hanger angle, taper and camber. It has an adjustable camber bar position allowing you to alter your centre of gravity. It can also be built with the Ergo Seat System. The design can be adapted to provide extra strength with a behind heel bar and/or the mount bracket for the drive lock system in a vehicle.